Mikaela Germie building a snowman. Photo by Jake Bacon, Arizona Daily Sun. With winter upon us, the City of Flagstaff wants to remind all businesses and residents of the City’s snow removal policy. ny person who owns, leases or oc- or drifting. cupies a building, lot or parcel of In a snow event, enforcement efforts land bordering any public street, begin by making sure all the most heavily avenue, alley, square or other public place traveled sidewalks going to schools and within the City shall at all times keep the businesses are cleared first. Enforcement of sidewalks, curbs, and crosswalk ramps sidewalks in neighborhoods follows. Those abutting upon or adjacent to the building, sidewalks that have not been cleared will lot or parcel owned or occupied by them be posted with a Notice of Violation which free and clear of any accumulation of snow allows an additional 24 hours for the removal and ice, or other obstruction. These areas of snow or ice. If the sidewalk remains out are to be cleared within 24 hours after the of compliance, the City can have the snow accumulation of snow and ice. The removal and ice removed by a contractor and bill of snow or ice shall mean free of snow or the property owner or responsible party. ice for the entire constructed width and The City of Flagstaff Code Complilength of the sidewalk, except those with ance department asks all businesses and a width exceeding five (5) feet, which must residents to please keep the sidewalks clear be cleared to a width of at least five (5) feet. for everyone’s safety. For more information The accumulation may be from any source please contact the City’s Code Compliance including snow plows, traffic, precipitation, Department at 928-213-2147. Humane Association will not accept these animals but will remain open after this transition and can be reached at (928) 526-1076. To contact the City of Flagstaff Animal Control services, please call (928) 774-1414. Call 928-679-8756 to reach the CCPHSD Animal Management office. HCH can be reached at 928-526-0742. Executive Committee and a steering committee member for the Flagstaff Women’s Leadership Network. Since joining the CVB, her results are impressive and in four years reported booking approximately 30,000 room nights for an estimated economic impact of more than $10.6 million. Jessica embodies an award winning tourism professional with her commitment, creativity, ambition and passion combined with her amazing accomplishments - congratulations! and Fly Flagstaff First. Plan to pack your bags and visit Denver to take in an event at Mile High Stadium or a concert at Red Rocks Amphitheater. Rolling Stone magazine calls Red Rocks Amphitheater one of America’s best and music legends have raved about it. Dallas is also a vibrant and exciting destination city to experience - do it all from a night on the town to shopping and outdoor adventure. Visit the big state of Texas to enjoy the Dallas Arboretum and Botanical Garden, Texas Skywalk, GeO-Deck at the Reunion Tower and the Pioneer Plaza with its massive bronze sculptures of longhorn cattle. Book your non-stop flight to Dallas or Denver for business, vacation or a quick get-away and skip the two-hour drive to Phoenix - enjoy the convenience. CURRENT FLAGSTAFF FLIGHT SCHEDULES. * United to DEN depart 7:00 a.m.
United to DEN depart 11:55 a.m.
American to PHX depart 7:00 a.m.
American to PHX depart 2:24 p.m.
American to DFW depart 7:10 a.m.
American to DFW depart 12:45 p.m.
American to PHX depart 10:35 a.m.
American to PHX depart 6:20 p.m.
Flagstaff Visitor Center Historic Train Station 1 E. Route 66 Flagstaff, AZ 86001 (928) 213-2951 flagstaffarizona.org Open Monday-Saturday 8 a.m. – 5 p.m. Sunday 9 a.m. – 4 p.m.
What is Flagstaff going to do about it? In 2018, more than 1,000 community members came together to develop Flagstaff's first Climate Action and Adaptation Plan. This roadmap will guide the Flagstaff community as it prepares for and responds to climate change. The Plan sets goals for how our community can best reduce our greenhouse gas emissions and protect the wellbeing of residents for decades to come. compared to our 2016 emissions. will guide the Plan and ensure it is accessible to the entire Flagstaff community. Making progress towards Flagstaff’s ambitious climate action goals is going to take more than just action from the City itself--individuals and community groups all have an important role to play as well. Through thoughtful and committed actions from all of us, we can become a stronger, healther and more equitable city for both current and future residents. This guide highlights actions that individuals and families can take to reduce their impact. WHICH ACTIONS WILL YOU TRY? REDUCE MY WASTE Reduce the amount of food my household wastes. Use fewer single-use plastics by bringing my own resuable coffee cup, water bottle and bags. Fix things that are broken instead of buying new. Use the Hazardous Products Center and bulky item pick-up programs to properly dispose of e-waste and appliances. CONSERVE ENERGY Weatherize my home by sealing air leaks around doors. Install energyconserving and electric appliances and fixtures, like ENERGY STAR appliances, electric furnaces, stoves, and tankless water heaters. Replace any old incandescent bulbs with LEDs. Shop locally and support local businesses. Eat more low-carbon foods, such as minimally processed foods, fruits, grains, and vegetables. RETHINK MY TRANSPORT Walk, bike, carpool or bus for more of my weekly trips. Try out an electric bike for my commute. Organize a “walking school-bus” to walk a group of kids to school. Delay my next purchase of a new vehicle. Consider a hybrid or electric car when it’s time to buy. Support development that creates vibrant, higher density, mixed-used areas to reduce the need for driving in Flagstaff. Turn off the lights and unplug chargers when not in use. Voice my support for City policies that reduce greenhouse gas emissions. use my roof for solar. Contact the City to get a free water check-up at my home, and replace inefficient toilets and fixtures. electric. Set a goal to reduce my home’s hot water use by 15%, by Installshowers alternatives to air the conditioning when practices like shorter and using dishwasher. renovating my home. Install a rain barrel to harvest rainwater for outdoor use. Replace turf grass with drought-tolerant native plants. thermal hot water heaters. Upgrade washing save water Install my a rain water machine barrel to to harvest rainwater and money with each load. COFFEE&CLIMATE Do you have questions about climate change? Want to learn more about Flagstaffâ&#x20AC;&#x2122;s new Climate Plan & how you can make a difference? JOIN US FOR COFFEE! March 8, 9-10am at Firecreek Coffee Company Coffee & Climate is an informal conversation with Sustainability staff about climate change in Flagstaff, the Climate Action and Adaptation Plan, and pressing climate news. Drop by for a few minutes or stay the entire hour! We meet on the second Friday of every month at either White Dove Coffee Shop (even months), or at Firecreek Coffee (odd months). 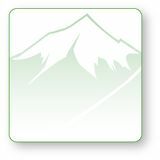 Learn more about the Climate Action and Adaptation Plan at www.Flagstaff.AZ.Gov/ClimatePlan. House too cold? We can help. Attend a free Home Energy Efficiency Workshop to receive a supply kit and learn how to save money and energy in your house or apartment. MARCH 4, 2019 | 6:00-7:00PM Downtown Library Questions? Need to request childcare or Spanish translation? WINTER2019 Save the date for Earth Day 2019 in Bushmaster Park! JOIN US AT BUSHMASTER PARK FOR EARTH DAY SATURDAY, APRIL 20, 2019! We will kick off the event with a neighborhood clean-up and return to the park for live entertainment, food trucks, workshops and activities for the whole family. If you’d like to be an exhibitor, entertainer, or volunteer at Earth Day 2019, please contact Maggie Twomey at 928-213-2144 or visit www.flagstaff.az.gov/earthday. Drop-off Day - Put Your Waste in the Right Place! Join us for a Drop-off Day, Dump the Drugs and Shred-A-Thon event Saturday, April 27, 2019, 10 am – 2 pm. Come to the Flagstaff Police Department parking lot at 911 East Sawmill to safely dispose of expired or unwanted drugs, latex paint, sensitive documents, electronic waste, and automobile tires. We will properly dispose of or recycle all items to keep them out of the landfill and water system. Participants can drop off up to two banker boxes of sensitive documents for shredding. No commercial waste will be accepted. If you have questions, please contact Maggie Twomey at 928-213-2144 or mtwomey@flagstaffaz.gov. Water Services Leak Detection Reaches a New Level Through GIS Technology IT’S JUST A SIMPLE LEAK, RIGHT? hen addressing mystery water So far, we’ve surveyed 98 miles of leaks, there is more than meets distribution system this year alone (~480 the eye for Water Services staff. miles over the past 4 years), logging in the The source of a leak can be very evasive. conditional assessment of valves, hydrants Leaks sometimes just disappear, or expand and meters throughout the city. Pipeline and contract. Water can actually surge up leaks and breaks can be detected without from our groundwater. Often, the dam- disturbing our streets – until we’re ready age originates in a different location from to actually perform repairs. We can even where the water surfaces. There could also document locations and equipment condi- consistent problems occur to find a longIf you suspect a leak, please call the Water be leaks at private connections. tion with photos and field notes. This is an term solution. Services Emergency line at 928-774-0262. Keeping track of the water distribution invaluable tool for our field crews, who are While the use of GIS technology to To learn more about on-going and planned system just got easier. Water Services has able to update their work in real time, using diagnose underground problems doesn’t projects, visit our Capital Improvement employed a new tool for tracking the water a tablet-collector software app. always look like a construction project, Page on the City website. piping system where the leaks in the system When a leak is reported, crews have City employees are still monitoring and Together, we can find that are detected and can even can even provide the capability to review the location and maintaining our community’s infrastrucsimple leak, right? an estimate of how much water is leaking. equipment condition recorded with photos ture. If you have questions about work This allows the Distribution Crew to pri- of the last assessment. We now have several being done in your neighborhood, call us oritize their work and maximize efficiency years of data collected, identifying where at 928-213-2400. Nine steps to ward off winter woes 1. Have your furnace regularly serviced. 7. Insulate water meters, pipes, and faucets 2. Install your own water shut-off valve. in unheated areas. This is a cheap solution to allow the 8. Keep your thermostat set at a minimum homeowner control of water to the home. The valve inside the water meter box is property of the City and only City staff are allowed access. 3. Keep the name and emergency telephone number of your plumber handy. off outside faucets. Disconnect the hose. cracks and insulate holes near doors, windows, and walls by pipes and meters. of 55 degrees. Keep doors to rooms and cupboard doors open to expose pipes beneath sinks. completely shut-off the heat when you are away. If you are planning to leave your home for an extended period of time, drain your pipes. If you don’t drain your pipes, lower the thermostat, but never shut it off. The lack of heat can freeze pipes, causing flooding and damage when they eventually thaw. iving in an arid region, we welcome the winter storms that bring much-needed moisture to our city; making Flagstaff the premier Arizona winter destination. Winter precipitation events tend to be more sustained, compared to summer monsoon storms. Warm, spring weather causes snow melt. Coupled with spring rains, this can lead to flooding and dangerous conditions. The City of Flagstaff Stormwater Section would like help you make this a safe season, by offering the following tips for springtime safety and flood awareness: 1. Promptly remove snow from your sidewalk Even if you’re not in a mapped-floodplain and private drainages. Ice and hardened snow can block the path of water draining from your property. It can also be a walking hazard, as snow melt during the day becomes ice patches at night. 2. Do not walk or drive through flood waters. Streets flood quickly. Currents are deceptive — six inches of moving water can knock you off your feet. Do not drive around barriers, as the road or bridge may be washed out. area, you may be still be subject to flooding from local drainage. In either case, flood insurance can be a good investment because most homeowner’s insurance policies do not cover damage caused by surface water flooding. *Closure area subject to change. temporary Forest Closure has been put in place in the Dry Lake Hills area to accommodate Phase II operations. The City is an active partner with the Forest Service in the thinning activities in the area, and we continue to work with them on all aspects of project implementation, to include this Forest Closure order. Active work units, involving helicopter operations and equipment operating on steep slopes, to include tree felling crews, wood processing units, and log trucks are throughout the closure area. It’s active and mobile, and where individual operations are occurring at any given time is highly dependent upon several factors that can change day-to-day, or even hour-to-hour. This work creates hazardous conditions, and it’s in which is why a Closure has been deemed necessary – both for the public and those operational personnel on the ground and in the air. We fully understand that a Closure can be an inconvenience. We appreciate the support and patience shown by the community for FWPP, and pledge to work with the Forest Service to periodically review the Closure to ensure it is amended as soon as conditions allow. In the meantime, we encourage folks to take advantage of other recreational sites and opportunities found throughout the area. eighborhoods are the building blocks of Flagstaff. Historic neighborhoods, such as the Southside, with their diverse social, cultural, economic and physical characteristics, create the story of who we are as a community. Southside is a community in transition. The City of Flagstaff’s Comprehensive Planning program is working on a neighborhood plan with local organizations, residents and stakeholders to maintain and enhance the Southside’s sense of place and community. A neighborhood plan informs future public projects, discretionary development, and updates to codes and regulations. The specific projects, developments and updates are determined by the neighborhood. Getting involved in this planning process is your chance to influence the Southside’s future! revamped project website: www. flagstaff.az.gov/southsideplan. Visioning for the neighborhood was kicked-off by a Visioning and Community Mapping Workshop in November, 2017. Between February and June of 2018, City staff knocked on all 800plus residential doors within the Southside neighborhood, conducting a survey discussing the area’s assets (good), issues (bad), and their vision for the future. In June we held the Past, Present and Future Visioning Workshop at the Murdoch Center. In July we had two topical workshops, one on Moving People and Water and another on Strengthening the Southside Community. Both workshops were preceded by neighborhood tours on their respective topics. In August we hosted a stormwaterCOMING SOON specific meeting. Also in August, City staff On Saturday, March 30 from 10 a.m. to 12 p.m. had five on-the-street meetings at five different the City will host a Southside Neighborhood Plan locations to discuss issues and design potential Open House to educate community members solutions throughout the Southside. City staff on what has happened so far, discuss where we is currently surveying all Southside businesses are in the process, and check-in with attendees on their assets, issues, and how the neighboron what we may have missed. As a follow-up hood should move forward. to this meeting, a small stakeholder group (i.e. residents and business owners/employees interested enough to dedicate their time (contact us STAY IN TOUCH to express interest)) will begin going through City staff has been working hard to create a neighborhood topics to work toward policies fun, informative, and easy-to-navigate website that will enhance the neighborhood’s strengths for this planning effort. We encourage you to and address its weaknesses. In April, City staff explore the interactive maps and stay informed will also begin hosting weekly office hours for on happenings at www.flagstaff.az.gov/souththe greater public to informally stop-by and sideplan. To be added to the email notification discuss all things Southside. Information for list for active comprehensive planning projects, these upcoming events will be posted on the please email or call Sara Dechter at sdechter@ sign outside the Murdoch Center and on the flagstaffaz.gov or (928) 213-2631. The year 2020 is almost here. Since 1790, the United States has undertaken the task of counting all of its residents once a decade. The U.S. Census Bureau is currently recruiting for the thousands of people it needs to assist with the 2020 count. The bureau is hiring for a variety of full-time and part-time, temporary jobs. Available jobs include: recruiting assistants, office operations supervisors, office clerks, census field supervisors, and census takers. Many of these jobs start now, very soon, or have already begun at some capacity, don’t wait until 2020 to apply. Candidates must be at least 18 years old, have a valid Social Security number, and be a U.S. citizen. Learn more and apply for a census job at https://2020census.gov/jobs or call 1-855-JOB-2020. FREE health screenings l FREE massages FREE diet & fitness advice l Natural & alternative care On-site mammography (928.522.9404 to schedule) Information about free or low-cost wellness programs And much more! STAY TUNED FOR THE RECYCLED WATER SURVEY RESULTS! The Recycled Water Survey closed on the Community Forum page on December 15. Over 320 people viewed the survey, with 96 people weighing in with their opinion. Now, the work begins… First, we thank you for your participation. Water affects us all. Your opinion counts. tested and safe water to the community. Finally, check in with us on our website and Education Page. We’ll be posting some FAQ’s on what recycled water (and reclaimed water) is and isn’t. The discussion is just beginning, and we want your input every step of the way. We’re pleased Next, we will continue to earn your that 86% of participants found our survey trust. We were pleased to record a 78% informative. confidence rating in Water Service’s ability We will continue sharing information and any to implement future projects. We take our new developments that move us toward a secure responsibility seriously, to provide treated, and safe future for Flagstaff’s water supply. Commercial Rebates Available! The Water Conservation Program has recently expanded their rebates for commercial customers. Businesses can work with conservation staff to upgrade toilets, urinals, showerheads, aerators, and pre-rinse spray valves. Commercial customers with other ideas on saving water at their business can work with conservation staff to come up with a custom proposal which could be rebated up to 50% of the project cost. Find out more at www.flagstaff.az.gov/CommercialRebates, or contact us at SaveWater@flagstaffaz.gov, or call Water Conservation staff at 928-213-2116. Water Services Administration offices are moving to a new location! he City of Flagstaff’s Parks and Recreation Department is your community connection for parks, swimming lessons, leisure classes, programs, entertainment, and special events. You can always count on us to do our very best to serve the recreation needs of the community. We take pride in knowing we offer everything you and your family like to do. You’ll find just what you need at five recreation centers, an ice rink, more than 24 developed parks, one pool, tennis courts, basketball courts, two-disc golf courses, 17 ballfields, 50 miles of the Flagstaff Urban Trail System (FUTS), two skate parks, and a BMX park providing year-round programs and activities. If you need more information about any of our programs or facilities, please visit us at www.flagstaff.az.gov/recreation. The City provides individuals with physical and mental challenges the opportunity to participate in recreation and leisure programs. If you need special accommodations to participate in any program, please notify us at the time of registration. Arizona Relay Service, a public service for the hearing impaired, is available at 7-1-1. Parks and Recreation Scholarships Flagstaff’s Scholarship Program offers assistance (a 50% price reduction) to eligible Flagstaff families and individuals with limited financial resources to participate in recreation programs. Parks and Recreation promotes physical, mental, and social well-being and participation in leisure, recreational, and fitness activities has proven to provide safe, healthy activities, reduce health risks and issues, and strengthen family and community relations. Families and individuals can qualify by submitting documentation of eligibility in other qualifying subsidized programs. 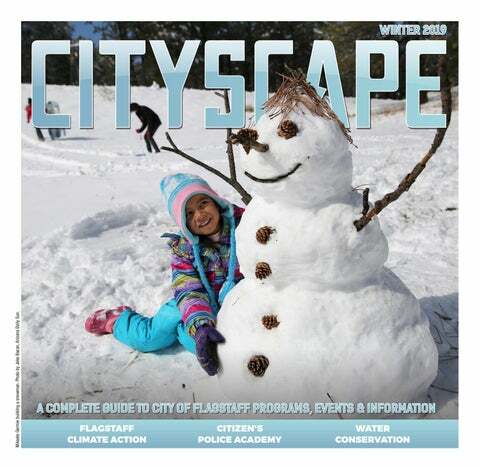 The City of Flagstaff subsidizes program fees up to 50% of the cost for daily admissions, annual passes, swim lessons, staff organized programs, and ice skate rental. The City of Flagstaff subsidizes program fees up to 50% of the cost for daily admissions, all memberships, swim lessons, staff organized programs, and ice skate rental. Visit www.flagstaff.az.gov/recreation for more information. The Aquaplex is a recreation center designed for family fun and fitness. Enjoy year-round activities and programs that include swimming, indoor rock climbing, and group fitness classes. An admission fee is charged to participate in activities and programs in this facility either by paying daily admission or purchasing a one, three, six or twelve-month membership. Meeting rooms and a party room are available for rent by the public. Please visit our webpage at www.flagstaff.az.gov/aquaplex for additional information and pricing. Business Pass Program Today’s employers are encouraged to make fitness and wellness programs available as part of an employee benefit package. The Aquaplex Business Pass Program offers a reasonable discount for annual passes to all businesses and employers – from small local businesses to large organizations. The employer buys into the program by contributing an annual fee that in return offers discounts on annual memberships for their employees. By participating in this program, employers and employees are also rewarded with increasing discounts based on length of participation. For more information on the Aquaplex Business Pass Program and how you can participate, please contact the Guest Services Coordinator at (928) 213.2307. The Aquaplex has great fitness classes available to members and daily admissions! Please view the list of class descriptions here www.flagstaff.az.gov/aquaplex. `` The parking lots at Arroyo Park and Guadalupe Park have been paved. `` A Peace Pole has been installed in Heritage Square. Adult Coed Hockey Registration:	April 7 – May 24 Date & Day:	June 2- October 6 (Sunday) Price: $200 per person (an additional USA Hockey Member Fee must be paid directly to USA Hockey) Ages: 18+ Mandatory evaluation of players required on Sunday, May 26 at 5 p.m. at Jay Lively Activity Center. (928) 213-2311 (928) 213-2312 Are you planning a wedding or special event? City of Flagstaff Parks and Recreation rents many beautiful parks and facilities. Our permit process makes the process easy and will prove to be the best deal in town! Downtown Newsletter Visit flagstaff.az.gov/downtown for the latest event information including event relevant Council meetings, street closures and event dates. Open Hours M-F: 1 p.m. – 8 p.m. (18+) M-F: 2:15 p.m. – 8 p.m. (17 and under) Sat:	10 a.m. – 4 p.m. (All ages)	The center is open from 10 a.m. to 8 p.m. on days that FUSD schools are closed due to a snow day or regularly scheduled breaks.This will include spring break from March 18 to 22. M/W/F	6 a.m. - 9 a.m. M-F	1 p.m. - 3 p.m. and 5 p.m. - 7:45 p.m. M-F 3 p.m. - 5 p.m. Sat 10 a.m. - 4p.m. Game Room Enjoy billiards, ping-pong, air-hockey, foosball, and more board games than you can imagine! Utilize this comfortable space to play, read, relax, study or watch TV. Center Hours Monday-Thursday: 7 a.m. – 8 p.m. Friday: 7 a.m. – 2 p.m.
9 -10:30 a.m.	$6.75	9 -10:30 a.m.
**Open hockey and Sticks and Pucks session times are subject to change, depending on group schedules. Please view our online calendar for the most up to date hours. The Joe C. Montoya Community and Senior Center is a recreation center designed for family fun and fitness and to host the County’s Senior Lunch Program. Enjoy year-round activities and programs, including group exercise, dance, leisure classes, and a fitness center. Meeting rooms are available for rent by the public, clubs, groups, and organizations. Continue the road to a healthier and happier self in a modern, relaxed, and welcoming fitness facility. *Public Skating hours are subject to change, depending on group schedules. Please view our online calendar for the most up to date hours. 8 -10 p.m.	12 - 2 p.m. 12 - 2 p.m.
2:30 p.m. - 4 p.m. 11 a.m. - 2 p.m. and 5:30 p.m. – 7 p.m. 2:30 p.m. – 4 p.m. 11 a.m. - 2 p.m. and 5:30 p.m. – 8 p.m. 1 p.m. - 4:30 p.m.
Drop-in and Free Programs Book Exchange	Ongoing Beginning Spanish	Friday	12:45-1:45 p.m. Billiards 18+	Monday-Thursday	8 a.m.- 8 p.m. Friday	8 a.m.- 2 p.m. Contract/Party Bridge Monday-Thursday	1 p.m. Cribbage Tuesday	1 p.m. Duplicate Bridge Tuesday	1 p.m. Pinochle	Monday	1 p.m. Scrabble	Wednesday	1 p.m. Train Dominos	Monday-Thursday	1 p.m. Table Tennis Club*	Tuesday/Wednesday 5 p.m. – 8 p.m. *A one-dollar ($1.00) donation for each session is appreciated as the club must pay for space and purchase quality equipment. This isn’t recreational, basement ping pong, players are expected to play at a higher level. For more information on this exciting group please call Jack Welch at (928) 714-0504. Siler Homes Activity Center offers crafts, board games, and various group games every day. Siler Homes Activity Center is open to all ages and is also available for private rentals. For rental information please call Hal Jensen Recreation Center at (928) 213-2762 Open Hours M-F: 3 p.m. – 6 p.m. Sat:	10 a.m. – 4 p.m.
Flagstaff City – Coconino County Public Libraries The mission of the Flagstaff City-Coconino County Public Library is to inspire learning, enrich lives, and strengthen community. Do you need some iambic pentameter in your life? Join us for a community read of one entire Shakespeare Play in this popular collaboration between the Flagstaff Shakespeare Festival and the library. Bring your own copy of the play or read along with one provided by the library. Would you rather listen? Don’t worry, reading aloud is encouraged but not required. WINTER2019 Date & Time: The fourth Sunday of every month at 11 a.m. Location: Downtown Library Community Room Audience: All ages are welcome. Readers as young as nine and as old as 99 have participated with gusto in the past. Regularly Scheduled Programming for Adults: 30 is the New 13? Cooking the Books is a new tasty book club featuring cookbooks from the library’s collection and recipes made by participants to share and discuss. Participation is limited to 20 people, so please register in person at the Downtown Library Reference Desk or call us at (928) 2132331. After you sign up, check out a cookbook, choose a recipe, prepare the food, and bring it along with the cookbook for delicious food and discussion on the designated night of fun. Date & Time: The first Tuesday of every month at 6 p.m. Location: Downtown Library Community Room Audience: All ages are welcome. Children must bring their adult(s). Saturday April 27, 2019 11am - 2pm Flagstaff Aquaplex Explore all of the fun summer activities and camps Flagstaff has to offer your little scallywags, and get a jump start on back to school readiness before the school year even ends! FREE dental screenings • FREE sports physicals fun activity stations • balloon artists face painting • magician raffle prizes, giveaways & much more! *Please note: all regularly scheduled programming for children & teens skips the week of FUSD’s Spring Break, March 18-22, 2019. Your toddler will delight in this special time for stories, songs, games and more. Date & Time: Tuesdays at 11 a.m. Location: Downtown Library Community Room Audience: Children 2- 3 years *Please note: all regularly scheduled programming for children & teens at East skips the week of FUSD’s Spring Break, March 18-22, 2019, & all Downtown Storytimes skip two weeks – March 11-22. Free Monthly Educational Talks Lunar Lecture Series - CCC Lone Tree Campus Feb. 13, 6 - 7:30 p.m., “From the Mountain to the Moon” ED Talks - CCC Fourth Street Campus Feb. 14, 6 - 7 p.m., “Volcano Date Night” Black History Month - CCC Lone Tree Campus Feb. 19, 4 - 5:30 p.m., “A brief history of African Americans in Northern Arizona” Lunar Dreams - CCC Lone Tree Campus Art Exhibition celebrating the Moon from scientific, cultural, and personal perspectives March 25 - April 14 Marketing and Technical Training Improve Your Marketing Toolkit – CCC Fourth Street Campus Taught by the Mountain Mojo Group, $200 includes all four sessions and lunch Wednesdays 12-2 p.m. / Feb. 27, March 6,13 & 27 Call CCC to register (928-645-6682). Seats are limited.